A cleared Moroccan who should have been released months ago has begged a federal judge to cut through the red tape keeping him stranded in Guantánamo Bay. Abdul Latif Nasser, 51, was unanimously cleared by the Periodic Review Board for transfer home to Morocco on July 11, but remains imprisoned because the government’s transfer process has been too slow. He now faces indefinite detention at the mercy of the Trump Administration. According to court documents filed this week, the Moroccan government’s final agreement to repatriate Abdul Latif arrived on December 28, 2016, which was too late for President Obama to give the 30-days notice required by the US Congress. There is no evidence that the Obama Administration did anything to hurry the agreement along. Last Friday, Abdul Latif filed an emergency request asking US federal court to either order his habeas writ granted, or an exception to the 30-day Congressional notice requirement met. Either would allow Abdul Latif to return home before President-elect Trump takes office. Sold for a bounty to the US military in 2002, Abdul Latif is famous across the Guantánamo military base for drafting his own 2,000-word English-to-Arabic dictionary by hand. His Reprieve attorney Shelby Sullivan-Bennis describes him as “introspective, intelligent, and kind-hearted”. Abdul Latif plans to live in his family home in Casablanca, where his brother has offered him employment at his successful water treatment company. 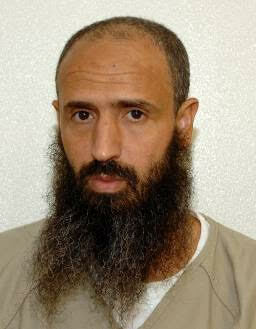 Morocco has already accepted 13 former Guantanamo detainees, and Abdul Latif would be supported by Reprieve’s Life After Guantanamo program, which assists ex-prisoners after release to ensure their successful reintegration.